All prices and delivery charges include VAT. There are two sizes of Arundel Candleholders made in wrought iron. 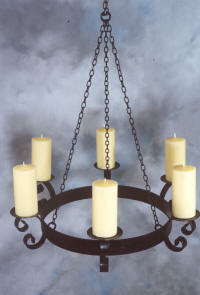 The larger candle holder is 24 1/2" (62cm) high and is suitable for standing on the floor or hearth. 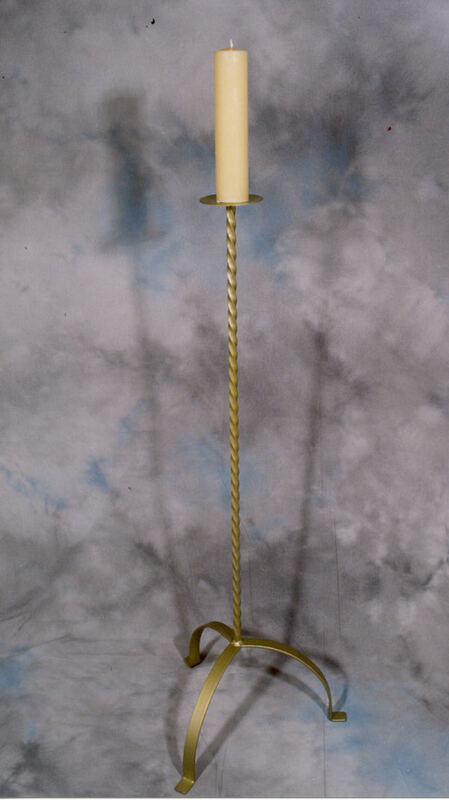 The shorter candle holder is 15" (38cm) high and is intended for use on the the table. 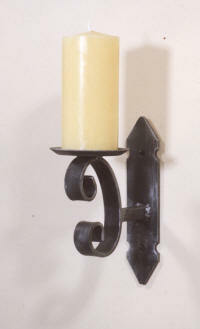 The price of the larger Arundel Candle holders is £29.95 and the prices of the smaller Arundel Candle Holders is £ 19.95. There is a delivery charge based on the order value - see below. 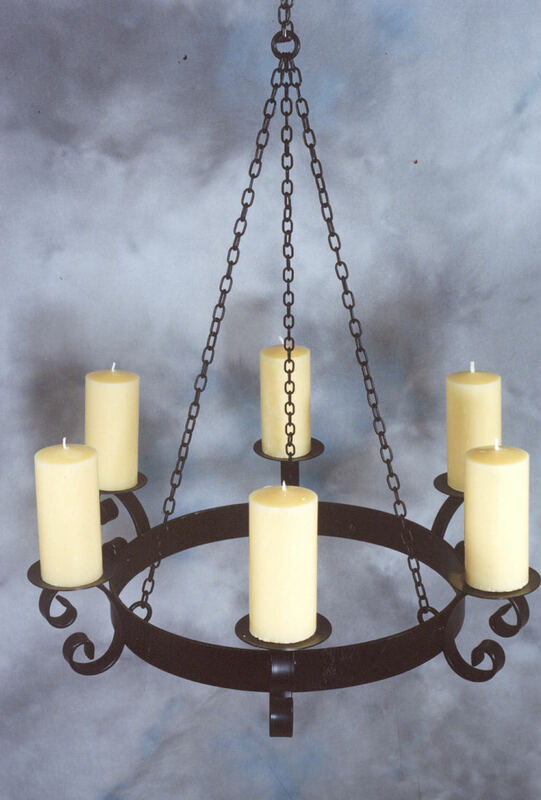 The Neville Candle Holder is 12" (30cm) high (excluding the height of the candle) and features a twisted wrought iron basket.. The price is £22.95 plus a delivery charge which is set out below. The Harlech Candle Holder is hand made in wrought iron and features a twisted stem. The height, excluding the candle, is 13 1/2". delivery charge - see below. The Glendower Floor Standing Candleholder is 42"(107cm) high 9excluding the height of the candle.) 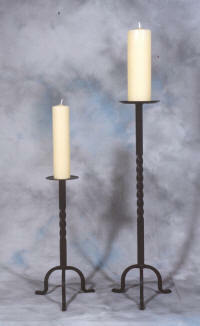 The wrought iron stem has an attractive twist which runs from top to bottom of the Candle Holder. It is shown here in its optional gold painted finish. Prices are £ 39.95 in black and £ 54.45 with the optional gold paint finish and there is also a delivery charge - see below. Regular: Ring diameter: 20". Overall diameter is 26". £99.90. Large: Ring diameter: 26". Overall diameter is 32". £139. The overall diameter is 26" or 63cm. There is also a delivery charge based on the value of the order, details of which are set out below. The overall, height excluding the candle is 10" or 25cm and 7" or 18cm deep. The price is £ 14.95 plus the delivery charge. for any Candleholders you might also buy. for details of delivery charges. You can also ring us anytime on 01749 870250. All orders and payments are acknowledged by post.